Companies, water institutions and individuals regularly call on us. So if you have a reservoir, grease separator or just a flooded space, we’ll suction, clean and dispose of it. Every year we resolve around 4,500 problems with sewage in Prague and the Central Bohemian Region. No excuses! Need help or want to make an appointment? Call +420 722 153 921 from 6.30am to 3pm or use our online form Online form. 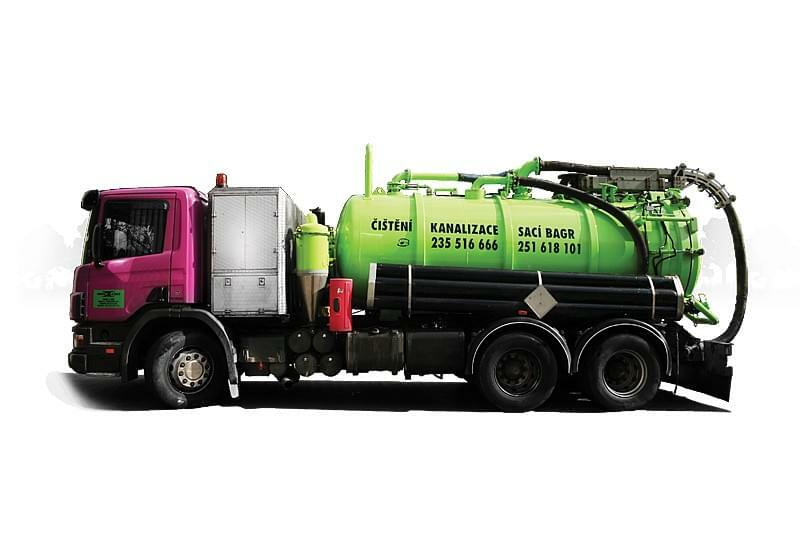 Need to empty a reservoir, septic tank or sludge tank? Or do you need to drain your flooded basement or elevator shaft after a rainstorm? We’ll be there straight away. Our technology would suction a pin from the bottom of the sea. Our suction vehicles with recycling or combined extensions are also equipped for sewer and pipeline cleaning using pressurised water. After removal of dirt and sludge, we clean all tanks, reservoirs, rainwater, courtyards, streets, mountain inlets, sand catchers and settling tanks. They’ll look like new. For 23 years we’ve been maintaining sewage even handling cesspool disposal. 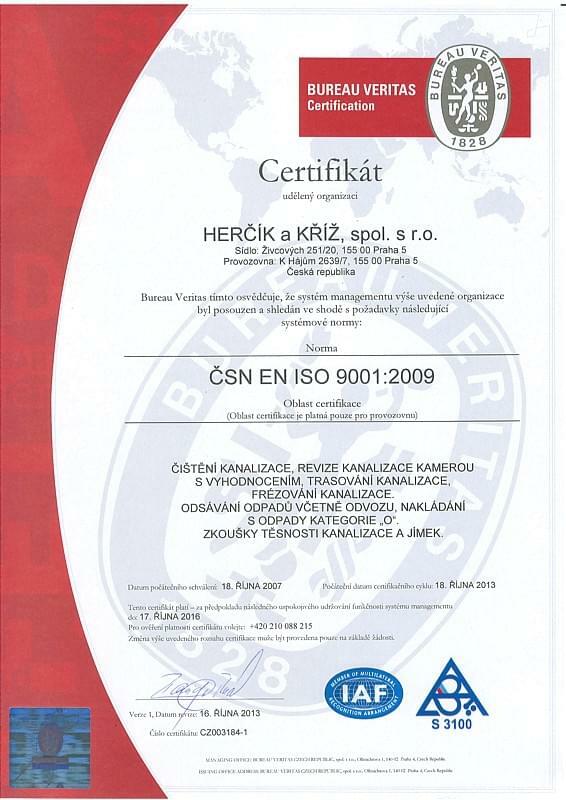 Our quality certificates and 12,700 satisfied customers prove it. We deal with all sewage issues, so you need look no further. We suction solid sludge from the greatest depths and over the longest distances. Even if your reservoir is far from the driveway, our equipment is up to the task with suction power of up to 3,100 m3 per hour and a total connected hose length from 30 to 200 m. Our tanks hold up to 13,000 litres of sludge so the job is done in just one trip. Write to us or call us on +420 722 153 921 between 6.30am and 6pm. A member of our team will give you an estimated price and arrange a suitable date. Our powerful suction technology gets work done in ¼ of the usual time needed, so you pay less. Our suction vehicles have a tank capacity from 3 m3 up to 13 m3. Whatever suction is needed we manage it all in one trip, so that you save on transport. Our suction vehicles are equipped with pressurised water. We also clean reservoirs, separators and connecting pipes using water pressure.